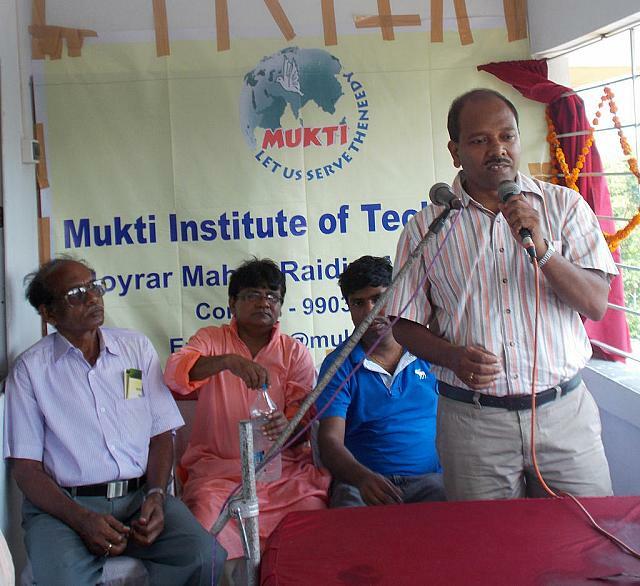 Mukti believes that economic conditions of the people lead to many more problems. 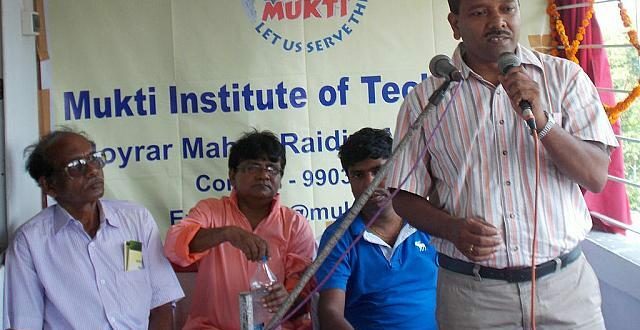 Mukti is striving to bring about an economic development by helping in vocational training. Vocational training is an integral part of the work carried out by many of Mukti’s project partners, primarily ASHA. This is particularly relevant in the context of women and primary earner of the family to enable them to stand on their own feet. Vocational training programs usually can cover a broad range of subjects from computer training, sewing, tailoring, agriculture (growing of certain plants), electrical, automobile repair and maintenance work, carpentry, boat building, ophthalmic assistants etc. This project is based on the belief that people can get maximum out of anything if he applies his own expertise and knowledge. 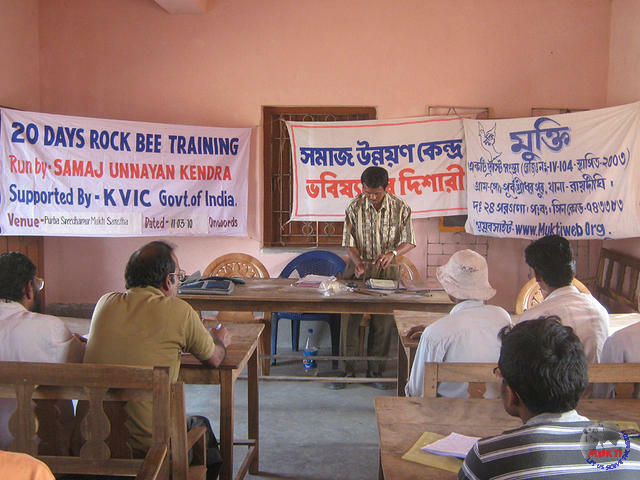 With hardships faced due to salinity in soil, problems due to agriculture, communication hardships etc, learning of vocational trainings and its usage will help in improving the life-style of the people in this rural area. Mukti is mainly working on providing the tool to the people of this area in order to achieve the self earning capabilities which will improve their standard of living by making them less reliable to outside worlds help. The goal of the projects was to provide vocational training services to the needy rural villagers to earn higher wages and be self sufficient. The projects seek to support the social and economic independence of people with livelihood hardships through vocational training that increases their incomes. 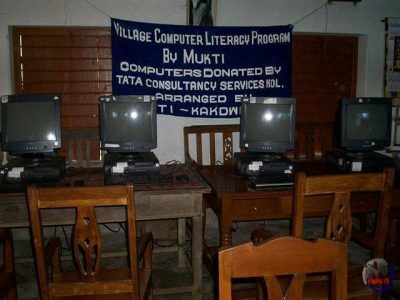 Vocational training sessions in simple computer applications and usage, for example, will pave their ways for economic sustenance for young generations of the village of Raidighi and its neighborhoods and will make them connected to the rest of the digital world. 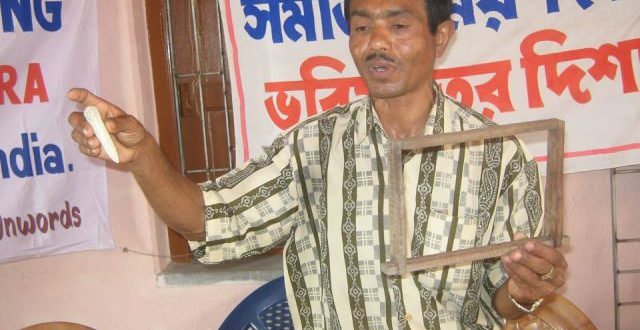 Economic hardship of inhabitants in Sunderban is the key problem they are facing in the region. Mukti has already made a brief survey of the livelihood and occupation of the people in the Deltas. It has been found that the lands used for cultivation are mostly single-crop and depend primarily on rainwater fr irrigation. Most of the people living in and around the delta do not have a job round the year, which is of course main reason behind poverty. This project is based on Modular Employable Skills (MES) under Skill Development Initiative Scheme (SDIS) of Government of India Initiative. A majority of Indian workforce does not possess marketable skills which is an impediment in getting decent employment and improving their economic condition. The goal of the projects was to provide vocational training services to the needy rural villagers to earn higher wages and be self sufficient. The projects seek to support the social and economic independence of people with livelihood hardships through vocational training that increases their incomes. The skill level and educational attainment of the workforce determines the productivity as well as the ability to adapt to the changing industrial environment. A majority of Indian workforce does not possess marketable skills which is an impediment in getting decent employment and improving their economic condition. While India has large young population, only 5% of the Indian labor force in the age group of 20-24 years has obtained vocational skills through formal means whereas the percentage in industrialized countries varies between 60% and 96%. About 63% of the school students drop out at different stages before reaching Class-X. Only about 2.5 million vocational training seats are available in the country whereas about 12.8 million persons enter the labor market every year. Even out of these training places, very few are available for early school dropouts. This signifies that a large number of school drop outs do not have access to skill development for improving their employability. The educational entry requirements and long duration of courses of the formal training system are some of the impediments for a person of low educational attainment to acquire skills for his livelihood. Further, the largest share of new jobs in India is likely to come from the unorganized sector that employs up to 93% of the national workforce, but most of the training programs cater to the needs of the organized sector. Honorable Minister of Finance during the budget speech 2005-06 made the following announcement: “To meet the demand for specific skills of a high order, a Public Private Partnership between Government and Industry is proposed to promote skills development program under the name ‘Skill Development Initiative’….”. Accordingly, Ministry of Labour & Employment undertook development of a new strategic framework for skill development for early school leavers and existing workers, especially in the un-organised sector in close consultation with industry, micro enterprises in the un-organised sector, State Governments, experts and academia which were essential considering their educational, social and economic background. The main objective of the scheme is to provide employable skills to school leavers, existing workers, ITI graduates, etc. 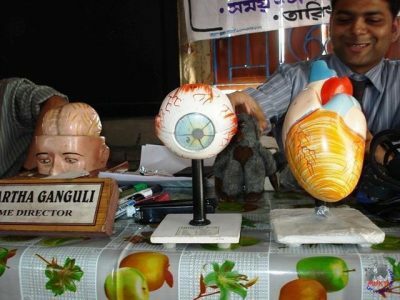 Existing skills of the persons can also be tested and certified under this scheme. Priority will be given to covering those above the age of 14 years who have been or withdrawn as child labour to enable them to learn employable skills in order to get gainful employment. it is hoped that this website will help in dissemination of the information about the scheme and bring transparency. It will also helpful in getting valuable feedback from stakeholders and public at large.